If you know how to bake and decorate cakes and pastries, then you should try selling Halloween-themed cakes, cookies, and cupcakes. Decorate your goodies with jack-o’-lanterns, spiders or spider webs, black cats, and other spooky items but make sure they aren’t too gross to eat. Try to make the presentation spooky enough to be in for the Halloween and cute enough that boys might want to buy more to give their girlfriends. Remember, although the target for selling goodies is often the kids, you can always find ways to make the older populations buy your products. Wrap the cookies in creative packaging, with a spooky theme in mind, of course. For cakes, zombie themes are among the most popular these days but you can always decorate these with witches, vampires, or spooky mansions. Try creating a Scooby Doo cake, complete with character toppers and matching cookies for the Scooby snacks. Unleash your hidden creativity and create spooky costumes with matching eerie props. There are lots of these in malls but many people are looking for unique costumes. You might also want to rent out past costumes you made. Remember, Halloween only happens once a year so a lot of people would not dare splurge on an expensive item just to win the best costume award if they could rent a good one at a fair price. Another good idea is to buy used costumes and props after the event. These often come at very low prices. Just clean them up and store carefully for next year’s Halloween; that is, if you have some cash to spare for an entire year. Many companies hold Halloween parties for employees and their kids. You can approach them with an offer to organize the party and provide supplies for the big event. Of course, building a reputation for success in organizing parties is the key to gaining more clients but everyone starts somewhere fresh. Just make sure to create interesting proposals for your prospective client so that they will try your services even if you are just starting out. Don’t forget to include spooky goodies, scary costumes, and eerie décor in your proposal for the party. Create a dessert table with themed cakes and sweets. The company might even task you to think of fun games and exciting events for a livelier party. 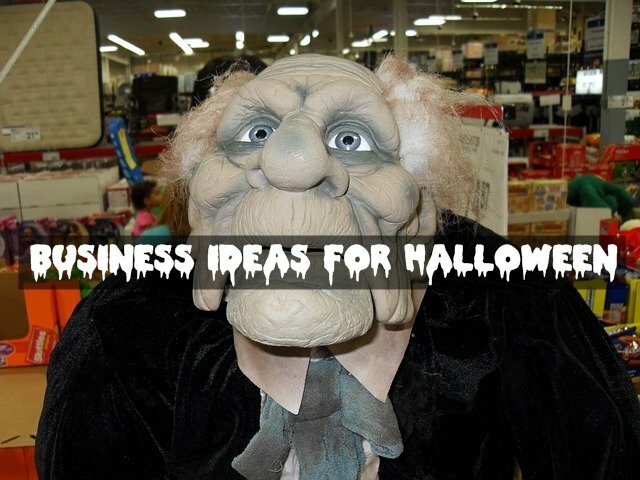 Try your best to succeed in the business you are setting up for Halloween. Give it your best shot. Halloween only comes once a year but your reputation as baker, party organizer, or seller depends on successful events you have carried out. Come the following year, your customers will surely come looking for you once again.